Eight public buses fitted with impact-resistant screens to protect bus drivers started plying the roads yesterday. 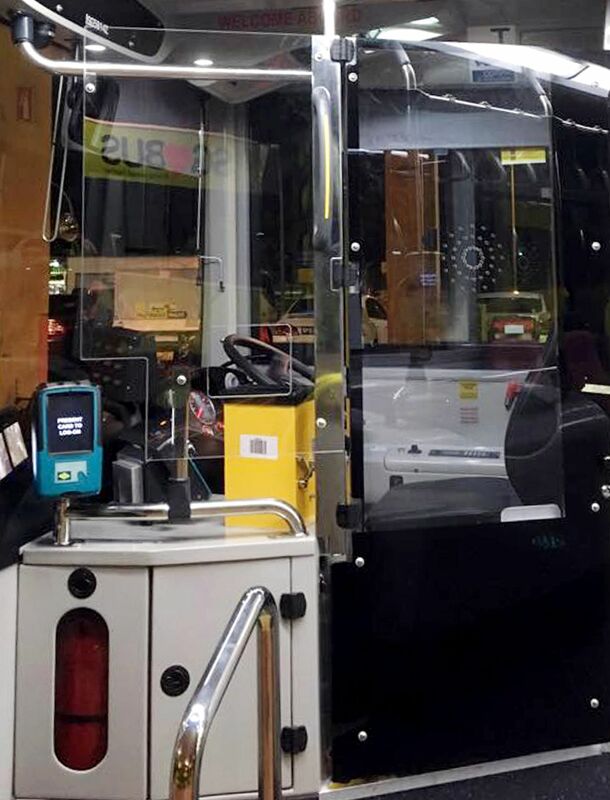 The protective screens are part of a six-month trial by the Land Transport Authority (LTA) to better shield bus drivers from potential hijacks or assaults, said National Transport Workers' Union executive secretary Melvin Yong. Said an LTA spokesman: "The trial will allow LTA to test the effectiveness of impact-resistant protective screens and assess if they would affect the bus captains' ability to carry out their duties. "Another eight buses with such screens will be deployed by February." On Friday night, Mr Yong posted several photos on Facebook of his visit to the Woodlands bus depot, and boarded one of the buses.The measures come in the light of a heightened security threat here, he wrote. The four public bus operators - Go-Ahead Singapore, SBS Transit, SMRT Buses and Tower Transit - are involved in the trial, he said. Mr Yong, who is also an MP for Tanjong Pagar GRC, suggested installing protective screens on public buses in Parliament in November last year. In response, Senior Minister of State for Transport Lam Pin Min said that LTA would be conducting a trial early this year to test the effectiveness and feasibility of the protective screens. Dr Lam said: "The trial will also allow LTA to gather feedback from commuters and other road users, as similar implementation elsewhere has attracted complaints like blinding glare off the screens."